JOHANNESBURG: After a successful career as an Artist Manager, having worked with some the top artists in South Africa, SKINDEEP, real name Tshediso Leanya is back to his DJing roots and releases debut single CURFEW. The song features soothing vocals by South African musician FELO MOREZ. CURFEW is a feel-good Vocal House song, touching on the subject of relationships complemented by soothing Electronic sounds that take you all the way to the sunsets of Ibiza. The song has already been played and co-signed by top DJs like LULO CAFE, THEE GOBBS, JUST MO, VINNY DA VINCI, just to name a few. It debuted in the Top 40 iTunes chart across all genres & No.2 in the Electronic iTunes chart. 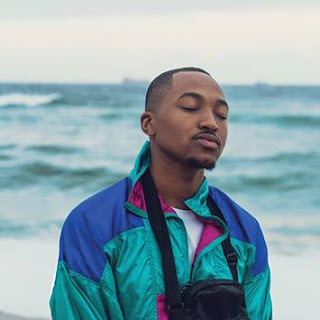 Several major radio stations across the country have already playlisted the single, SKINDEEP has also been on a 2-Month Promotional Tour stopping in several venues across the province. CURFEW is definitely a must-have in your playlist this season! CURFEW is available on iTunes and all other major digital stores worldwide. Click here to stream or buy the song.